Little Court is 3 acres, and walled. 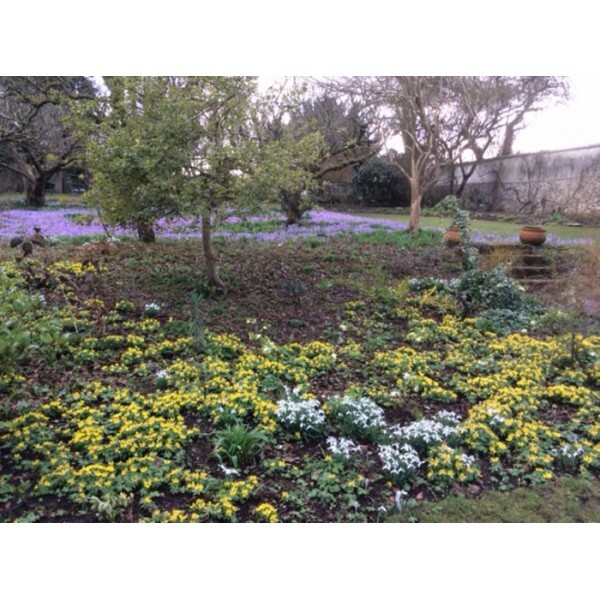 There are thousands of scented crocus, aconites and hellebores, and snowdrops. The garden is sheltered from wind! Teas only available on 27th February, in the Village Hall. Good collectors snowdrops will be for sale. Toilet facilities, coaches welcome, disabled access. Parking in village street or by the church. 5m NW of Winchester. Between B3049 (Winchester - Stockbridge) & A272 (Winchester - Andover).